The use of the binoculars is increasing exponentially among many outdoor enthusiasts, especially among hunters. Today, there are so many binoculars on the market, and so choosing a pair of very good binoculars to make your hunting expeditions more enjoying and productive can sometimes be quite a challenging task. But be rest assured because today we shall introduce you to one of the best hunting binoculars currently available on the market for sale – the Celestron 71332 Nature DX 8×42 Binocular. 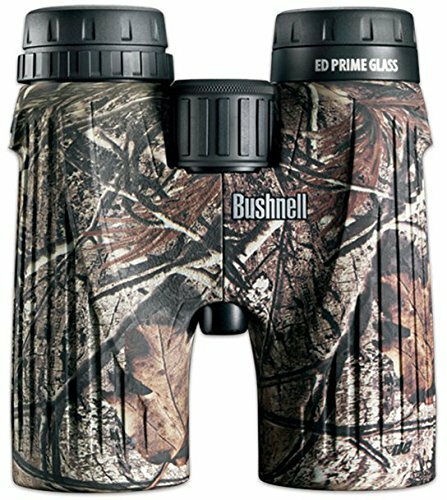 This pair of binoculars is not only affordable, but comes with a whole bunch of features that can contribute immensely to making your hunting expeditions very fruitful. 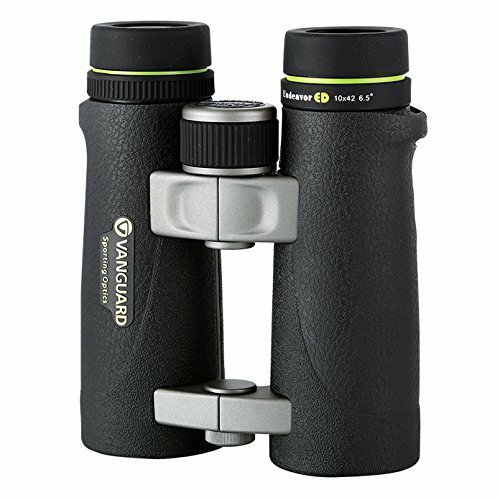 Take your time and go through the Celestron 71332 Nature DX 8×42 Binocular (Green) review below where we discuss the exceptional qualities of this pair of binoculars. In addition to looking at the prominent features of the Nature DX, we shall also shed some light on the pros and cons of owning this device as well as some of customers’ most frequently asked questions. 1.8.1 Q. Who are the manufacturers of the binoculars? 1.8.2 Q. What is the magnification of the Nature DX? 1.8.3 Q. What is the binoculars’ objective lens diameter? 1.8.4 Q. How much does the product weigh? 1.8.5 Q. What is the Nature DX’s eye relief? 1.8.6 Q. What accessories do I get with the Nature DX? 1.8.7 Q. Where are the binoculars manufactured? 1.8.8 Q. Is the Nature DX waterproof? 1.8.9 Q. What type of optical coatings do these binoculars come with? 1.8.10 Q. Can these binoculars be mounted on a tripod? 1.8.11 Q. What are the dimensions of the Nature DX? 1.8.12 Q. Can eyeglasses wearers use these binoculars? 1.8.13 Q. Does the Nature DX come with a warranty? One of the most remarkable features of the Nature DX is its unique ability to produce high quality, bright and crystal clear images – something not too many similar binoculars can do. The Nature DX is capable of doing this mainly because of two things that it comes with: high quality phase coated BaK-4 Prisms and fully multi coated lenses. The BaK-4 prisms, which are made of very quality optical glass, have the ability to transmit light efficiently, thereby leading to the production of images that are very clear. The fully multi coated optics, on the other hand, also allows for the efficient transmission of light to facilitate the production of brighter images. The combined powers of the BaK-4 Prisms and the fully multi-coated optics help the Nature DX to deliver very quality and clear images, even in environments where there isn’t very bright light. The Nature DX is the ideal type of binoculars when it comes to weight because unlike the other binoculars on the market, this model has a lightweight construction which makes it easy to carry around regardless of the load you may be carrying on you. And since the last thing any outdoor adventurer wants is to be weighed down by their binoculars, the Nature DX makes a very useful companion for all outdoor adventurers. Another notable characteristic of the Nature DX is its solid waterproof construction which allows you to use it in wet environments and not worry about the device getting damaged. This very important feature not only prevents moisture from damaging the device, but also plays an important role in preventing things such as dust from getting into the device and potentially damaging it or hindering you from obtaining a clear view when looking through the binoculars. The fog proof feature that the Nature DX comes with is another feature that separates it from some of its counterparts on the market. At places where humidity is high or there are quick changes in temperature, “internal fogging” can occur in the system, thereby preventing you from enjoying an excellent viewing experience. In addition to this, internal fogging can also cause damage to the device by corroding it internally. But thanks to the fog proof feature of the Nature DX all these things are avoided. Another important feature of the Nature DX that contributes massively to its success is its highly durable nature. The device gets its durability partly from the rubber armored, polycarbonate which houses it. This housing protects the device from all manners of damages. Other features that contribute to the Nature DX’s durability include things such as its waterproof and fog proof constructions. The binoculars are very durable and can survive all manners of harsh weather. They are both waterproof and fogproof. They produce very high quality images. They are portable and lightweight. They have an 8x magnification. They come with fully multicoated optics. They come with twist-up eyecups. They are engineered with fully multi-coated optic and BaK-4 Prisms. A number of customers have complained about experiencing problems with the quality of the adjustable eyepiece. Despite the compact and lightweight nature of the binoculars, some customers complain of them being a little bit on the heavier side when using them for certain activities, such as bird watching. Q. Who are the manufacturers of the binoculars? A. The binoculars are manufactured by the American company Celestron, LLC. Celestron is considered one of the giants in the optics industry. Q. What is the magnification of the Nature DX? Q. What is the binoculars’ objective lens diameter? A. The binoculars weight approximately 22.2 oz. Q. What is the Nature DX’s eye relief? Q. What accessories do I get with the Nature DX? A. When you purchase the binoculars, you get the following accessories with them: lens caps, a neck strap, a lens cloth, a carrying case for protection, a rainguard, and an instruction manual. Q. Where are the binoculars manufactured? A. These binoculars are manufactured in China. Q. Is the Nature DX waterproof? A. Yes. In addition to being waterproof, the binoculars are also nitrogen filled and are therefore fogproof. Q. What type of optical coatings do these binoculars come with? A. They come fully multi-coated. Q. Can these binoculars be mounted on a tripod? A. Yes. They are hundred percent tripod adaptable. Q. What are the dimensions of the Nature DX? A. The dimensions are: 5.3″ x 4.9″ x 2″ (LxWxH). Q. Can eyeglasses wearers use these binoculars? Q. Does the Nature DX come with a warranty? A. Yes. The manufacturers of the binoculars support them with a limited lifetime warranty. From the Celestron 71332 Nature DX 8×42 Binocular (Green) review above, we can clearly see that the Nature DX comes engineered with so many vital features such as BaK-4 Prisms w/ Phase Coating, durability, waterproof and fog proof construction, and fully multicoated optics that separate it from many of its counterparts on the market. If you are a hunter really looking to enhance your hunting experience in the field, then you should consider the Nature DX Binoculars.